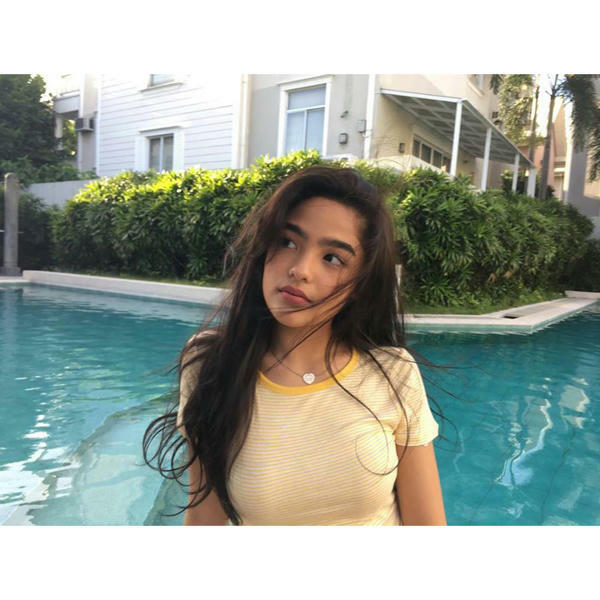 Anndrew Blythe Daguio Gorostiza (born March 12, 2003), better known as Andrea Brillantes, is a Filipina child actress best known for playing the title character in the 2013 primetime series Annaliza. She also appeared in the television series including E-boy and Alyna, and played various other roles. Her first television appearance was in the children’s comedy show Goin’ Bulilit. She later appeared in the 2010 ABS-CBN drama series Alyna, where she played Sofia Alvaro, a young girl who is the lost daughter of Alyna (Shaina Magdayao). In 2012, Brillantes appeared on E-Boy as Princess, a boyish girl who believed in fairy tales. She also made guest appearances in Wansapanataym and other shows from TV5. In 2013, she made her first big break by playing the main role in the family drama series Annaliza, alongside Zanjoe Marudo, Kaye Abad, Patrick Garcia and Denise Laurel. She portrayed the role of Annaliza, a girl who faced numerous trials under her foster parents. The show debuted on May 27, 2013, and ended on March 21, 2014. In 2014, she starred in Hawak Kamay as Lorry Magpantay-Agustin, alongside with Piolo Pascual, Iza Calzado, Zaijian Jaranilla, Xyriel Manabat, Yesha Camile, and Nikki Gil. In 2015, Brillantes starred in the remake version of Pangako Sa ‘Yo as Lia Buenavista, originally portrayed by Jodi Sta. Maria, who stars as Amor Powers. She stars alongside with, Jodi Sta. Maria, Ian Veneracion, Kathryn Bernardo, Daniel Padilla, and Angelica Panganiban. This website is intended for Andrea Brillantes and her fans. In this site you will find various updates about Andrea Brillantes as well as compilation of pictures and videos of her with credits to their respective owners. This Fan-based Website was launched on March 12, 2017, exactly on Andrea Brillantes’ 14th Birthday.